New Delhi, March 24, 2014: To facilitate your child’s aspirations and goals Max Life Insurance, one of India’s leading life insurance companies, today launched SHIKSHA PLUS SUPER, a Unit Linked Child Plan. Max Life SHIKSHA PLUS SUPER is a 360-degree child plan that provides resources for the overall development of your child even in absence of resource provider. With the launch of this product, the company also completes its product suite for all life stage based needs. Speaking at the Launch, Rajesh Sud, CEO & Managing Director, Max Life Insurance said, “The launch of SHIKSHA PLUS SUPER completes our suite of products required for all life stage needs that are compliant with the new guidelines effective January 1, 2014. 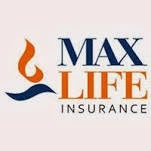 Lump sum Payout in case of unfortunate death: In case of an unfortunate event of death of the parent (the life insured), Max Life Insurance will pay the nominee a lump sum death benefit of higher of Sum Assured or 105% of all premiums paid or 0.5 x Policy Term x Annualized Premiums. School Fees Support: In addition to the lump sum death benefit, the beneficiary is entitled to receive 10% of Sum Assured every year, subject to a maximum of 10 and a minimum of 3 such installments, to provide for the yearly education expenses of the child. Funding of Premium:In addition to the above benefits, Max Life will continue to operate the Unit Account until maturity of the policy. Max Life will also fund all future premiums as and when due, to boost the education fund thereby ensuring that the purpose for which the policy was originally purchased is accomplished. Guaranteed Loyalty Additions to Increase Maturity Value: At the end of the 11th Policy Year and every year thereafter, the policyholder is given the benefit of Guaranteed Loyalty Additions to further boost the maturity value when it matters the most. Partial Withdrawal: The product offers the flexibility of partial withdrawal twice a year after the 5th policy year from the fund value for aiding skill enhancement of any special talents that the child may possess and require further nurturing. The maximum amount that can be partially withdrawn is 50% of the Fund Value as on the date of partial withdrawal per policy year. SHIKSHA PLUS SUPER offers customers the choice of investing premiums in five investment funds offered by Max Life Insurance with an option of Dynamic Fund Allocation and Systematic Transfer Plan. Dynamic Fund Allocation frees the policyholders from selecting the investment funds manually since this function automatically invests between equity and debt oriented funds in a pre-defined proportion that keeps changing as policy nears maturity. This investment strategy endeavors to safeguard their fund from any capital erosion by increasing the fund allocation in debt funds as policy progresses towards maturity. Systematic Transfer Plan, on the other hand, replicates the rupee cost averaging method thereby allowing the policyholder to benefit from the market volatility. The plan also empowers policyholders to manage their investments by effecting free switches and premium redirection facility to proactively manage their investments and redirect their future premiums into new funds of their choice.